Hello everybody! I hope you didn't have problems finding my new web address. I'm sorry if the change caused any confusion or trouble. Please update your badges and bookmarks with the new web address http://weekendreflection.blogspot.com/ thanks! 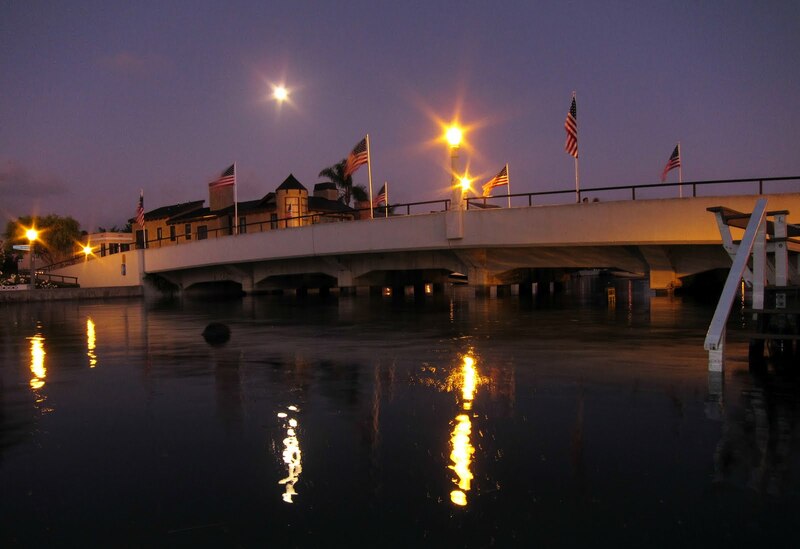 This is a nighttime view of Balboa Peninsula. 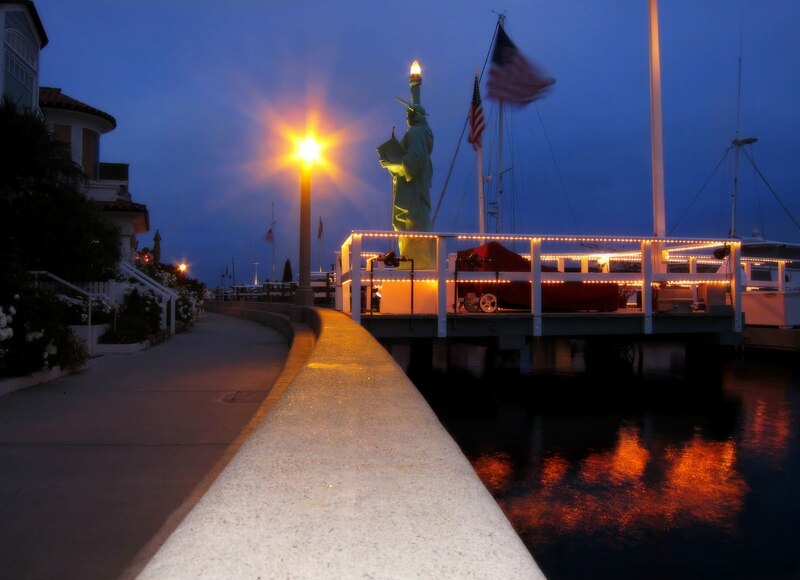 I took the photo from Balboa Island. 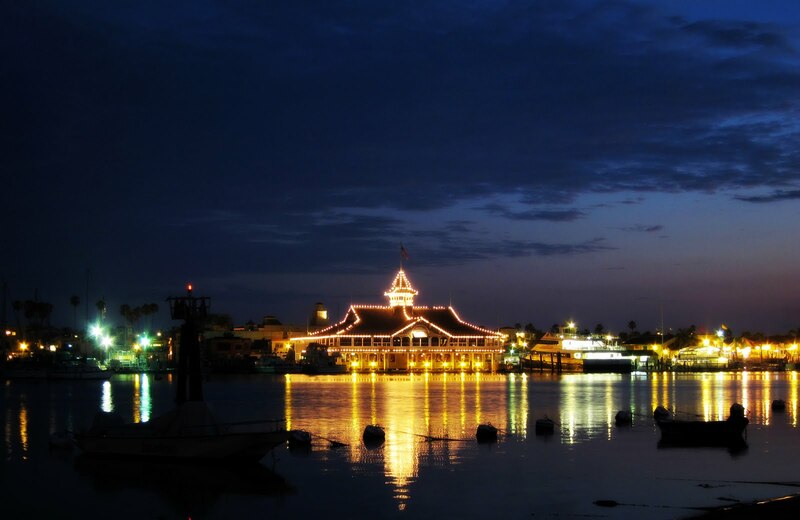 The building with all the lights is The Balboa Pavilion, it's over a hundred years old and that's ancient by Orange County standards. :) I also took a picture of this building's reflection in the window on the island side of the water. I'm posting it at Something Sighted and linking it here. I tried to change it to Weekend Reflections but I had to settle for Weekend Reflection without the "s". The old URL won't work anymore so if you have it bookmarked please change it to the new URL. Also please make sure your Weekend Reflections badges have the new URL. Thanks! I'm sorry if the change causes problems or confusion. I'll post this message again to make sure everyone sees it. The two people walked into the reflection and I'm glad they did. 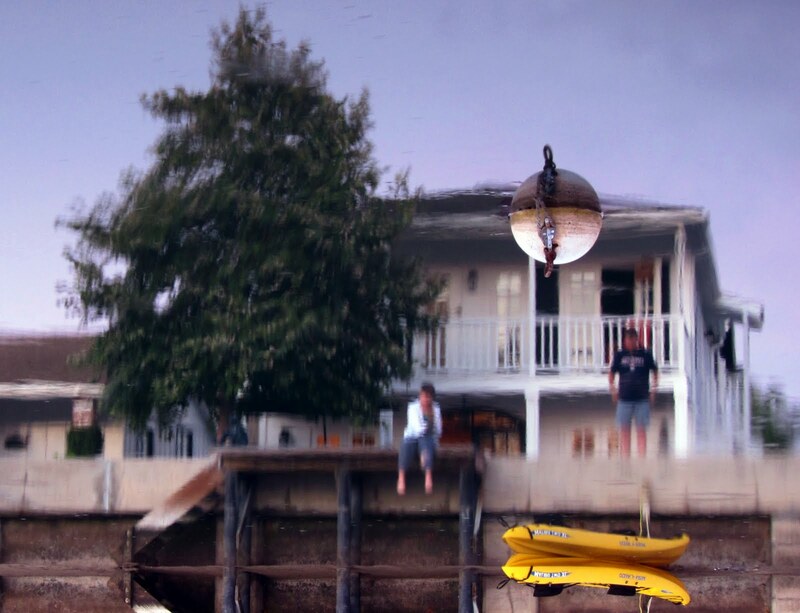 If you look very closely you might be able to see the black statue of a boy sitting under the tree at the top of the stairs that lead to the water or in this case the land because this is upside down. You might see this photo again over the next few days because I'm going to link it to Louis Lavache's Sunday Bridges meme and Franius' Night Shot meme. Great places to visit especially if you want to share your bridge or night photos! 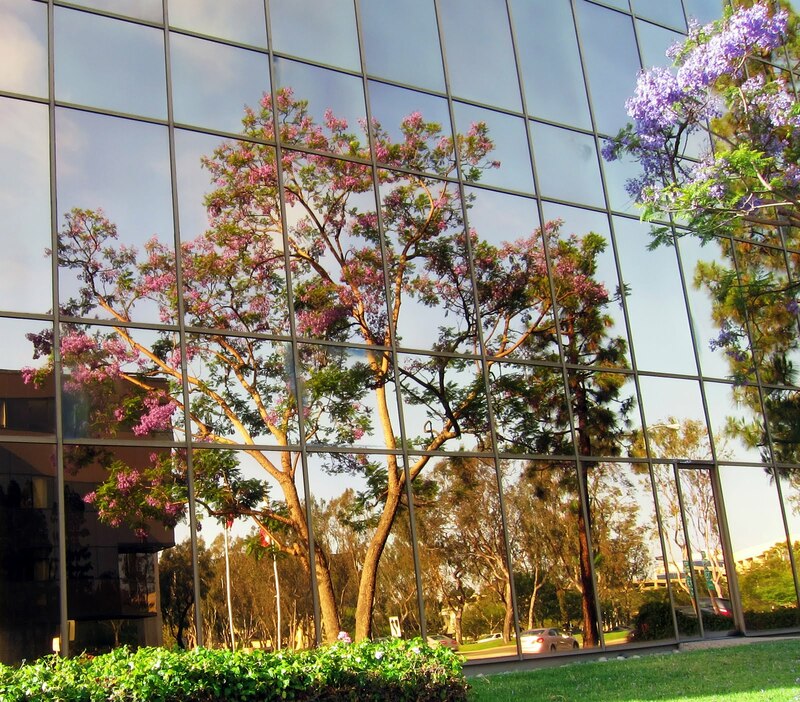 This glass building has an interesting golden color that made these tree reflections really stand out. I'm going back when I have more time to take pictures. Have a great 4TH of July weekend America! Have a great weekend everyone!